So my journey began at SFO with a sign of relief and ready for vacation. The two weeks before I was leaving I was running around like crazy mad woman with no time in hand. I had to complete all my work duties, have the kids HW completed since DH had already left two weeks earlier. Pack all 4 bags with all the requests from my DH and family from India. But as soon as I reached that Airport checked in with no problems I was ready to breathe a sigh of relief. My journey began at Ahmedabad for the first three days with visiting my In-laws. The way we got around was in a Riksha. If you have never tried it then you must. It will be an experience you will not forget. Forget about driving lanes, personal space, and the smell of fresh air, sit back and enjoy the ride. The best part was eating all the foods from childhood. Seeing the natural environment of the hustle and bustle of everyday life of the neighbors. How the cows pass by your front yard, and the monkeys on the rooftops, and stray dogs everywhere. Dogs are different in India, they are not exactly friendly and also covered with rabies. 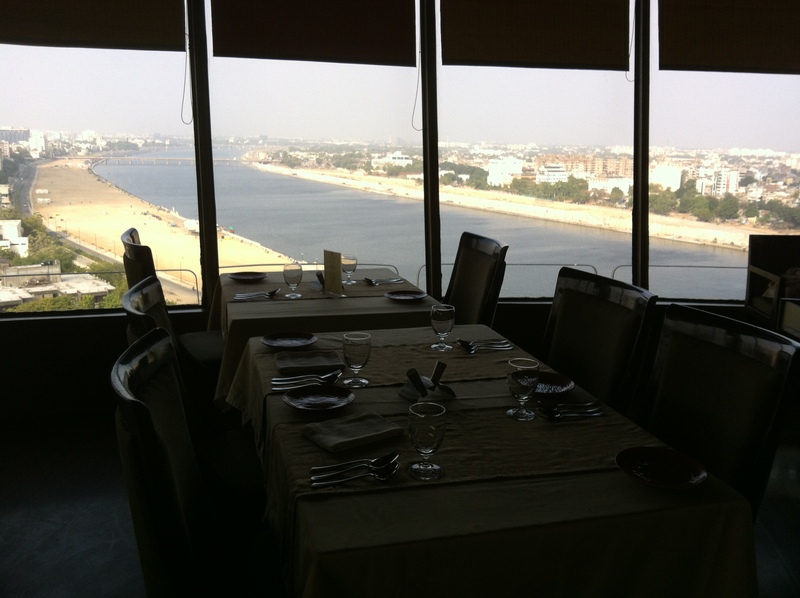 During our visit we ate at this revolving restaurant called Patang. Check out the view in first picture. 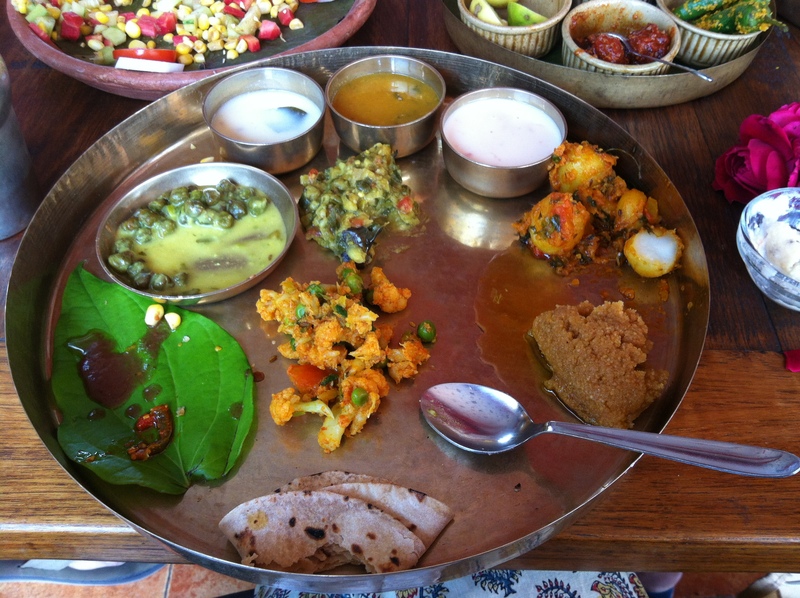 The other restaurant is called Agashiye Restaurant which serves a traditional Gujarati Thali. The service was impeccable at both places. The food was as good as it looks. Next part of the journey was in Delhi. Where we spent time at a friend’s house with a driver and personal cooks. I felt like a queen being served all my requests. 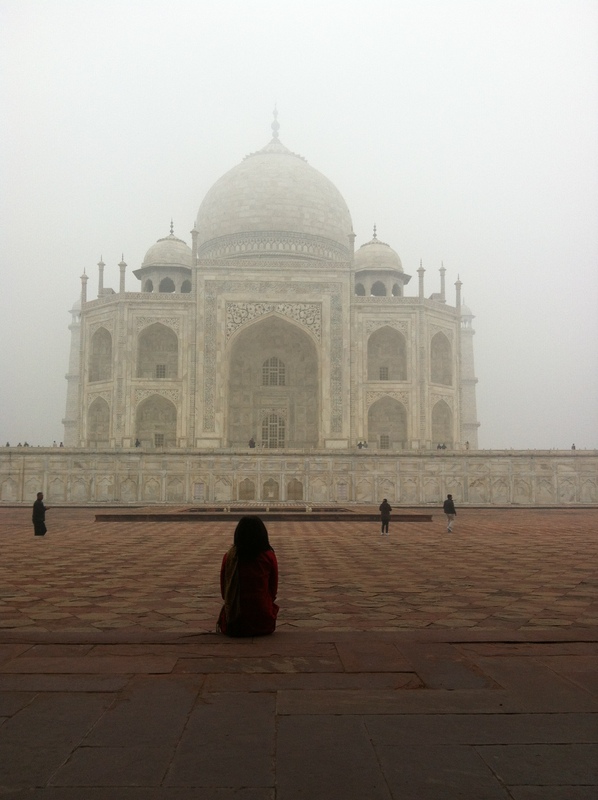 From Delhi we drove to Agra to visit the Taj Mahal and Agra Fort. Taj Mahal is a mausoleum which was completed in 1648 by Emperor Shah Jahan. He built it for his 3rd wife Mumtaz who was actually Persian Princess. She died from giving birth to their 14th child. Agra Fort is another must see in Agra. 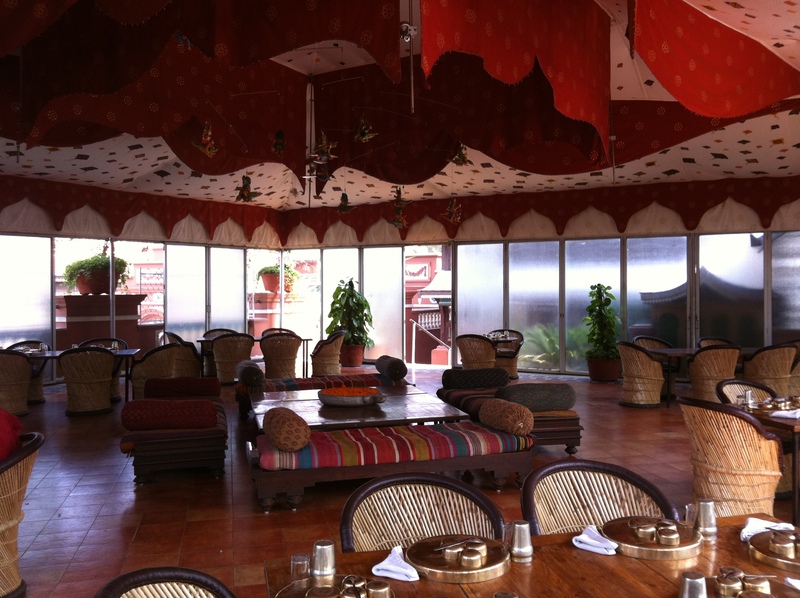 It is where Shah Jahan died in Muasamman Burj, a tower with a marble balcony with a view of the Taj Mahal.